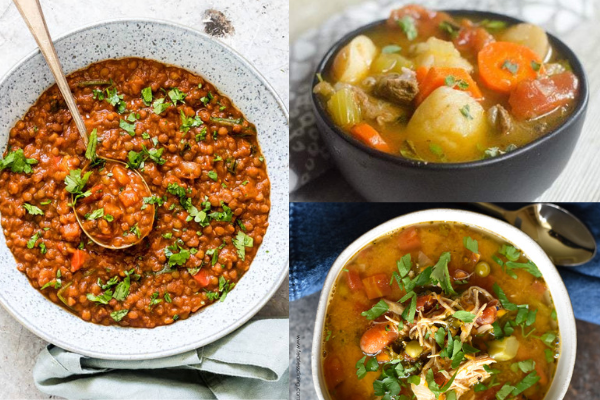 This article will provide you with absolutely delicious, frugal, and easy instant pot soups to make for your family. If you like the article, please consider sharing. Enjoy! Moms are so busy these days. Don’t you think? Between getting the kids ready for school, going to work, keeping the house decent, managing the finances, getting everyone to practice or dance class, AND making sure that everyone is fed; it’s no wonder why so many moms are googling “how to get more stuff done in a day”. It seems like instead of minimizing and outsourcing our tasks, we try to figure out how to squeeze it all in. With the invention of pressure cookers and the Instant Pot, alas a real life “EASY” button. I recieved a pressure cooker for Christmas last year and I honestly don’t know what took me so freaken long to open it. As a working mom with 3 boys and a hungry husband, dinner time has always been a struggle for me. I’m not the best cook. It actually takes me a long time to make dinner as I am constantly being distracted. I’ve got the “go ask your mom” husband lol. So when I made my first meal in the pressure cooker in less than 30 minutes, I was thrilled. 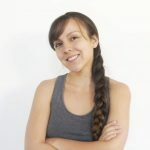 I got to researching more recipes and tried a few soups, and I was hooked instantly. Not only did my kids love them, it was extremely easy, quick, and frugal. For someone who doesn’t really like to cook, this was perfect. 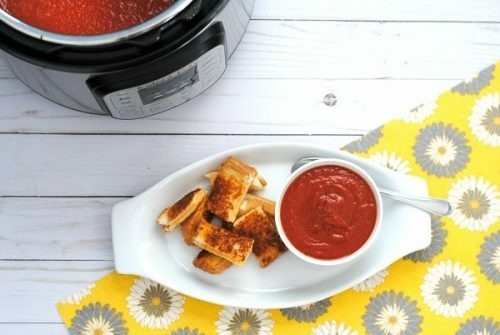 I’ve compiled a list of easy instant pot soups for you to try with your family. I hope you enjoy! 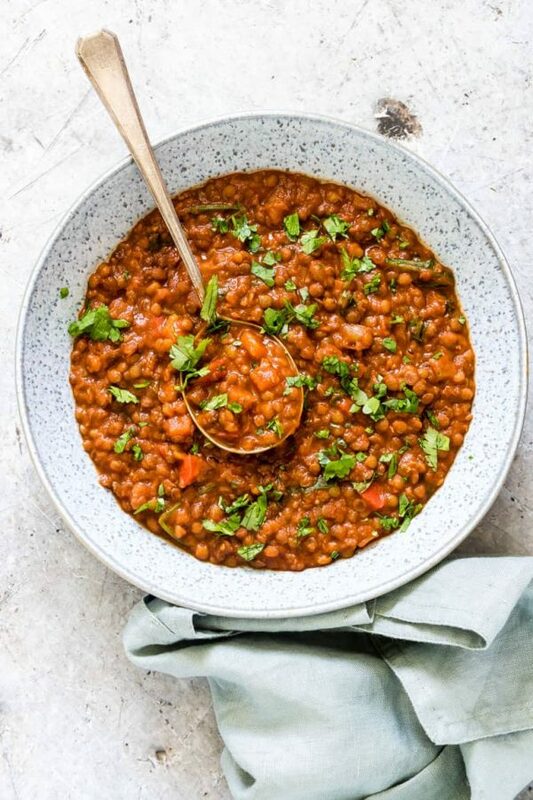 Lentils might be my new favorite thing. 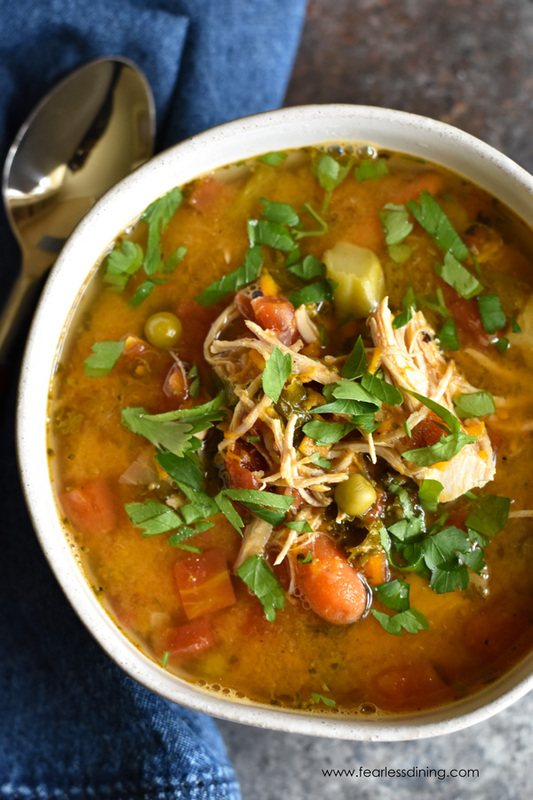 This yummy soup is packed with nutrition and has a burst of Mexican flavors. Did I mention that this is Vegan and Gluten free? Yup. I love that this hearty meal is flexible enough to be able to use any vegetables in your fridge that you need to cook before they go bad. It’s like a plethora of vegetables all loaded up into one delicous meal. This mouthwatering meal comes from an Apple Chicken Sausage inspiration. 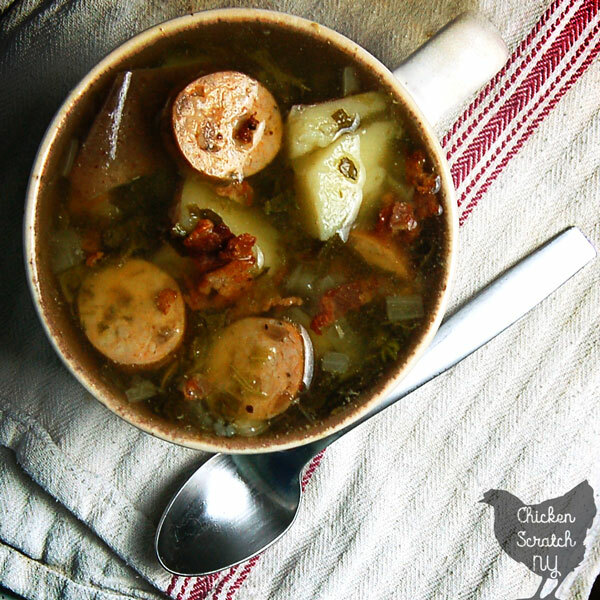 She meticulously combines each ingredient to make this delightful soup. And who doesn’t love bacon? I mean, C’mon! With only 5 ingredients and 15 minutes cooking time, this will easily become my go-to recipe for those crazy nights. It’s like a loaded baked potato as a soup! Yum! 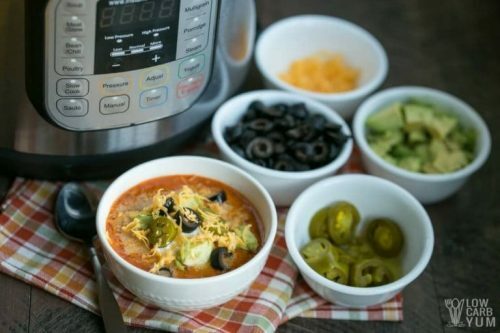 As the weather gets colder, easy instant pot soups are definitely a must. 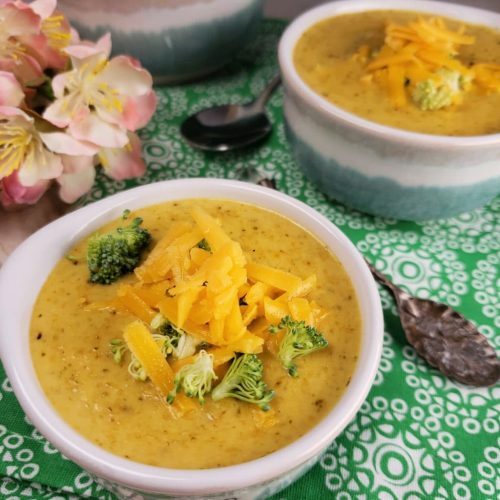 If you love Panera’s Broccoli Cheddar soup, then This Old Gal has got a soup for you. Inspired by Panera, she puts her own spin on the soup, creating something spectacular for your taste buds! Broccoli and cheese, yes please. 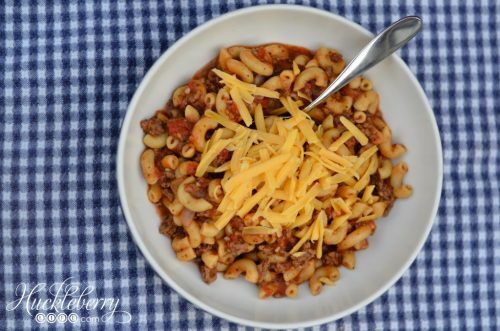 I love making Goulash but I’ve never tried it the the Instant Pot. I love how this recipe is super quick in only 4 minutes cooking time. My husband can eat this whole pot by himself if I let him! This easy instant pot soup recipes reminds me of a delicious tomato soup, except this one has a ton of fresh veggies like bell pepper, zucchini, and celery to name a few. And in just 8 minutes of cooking time, you’ll have dinner ready in no time. 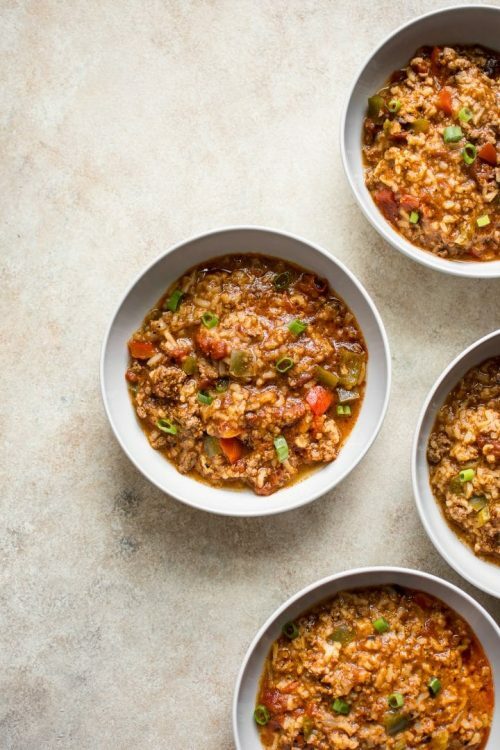 Loaded with flavor and 20 minute total cooking time, this taco soup is bound to make your recipe go-to list this winter. I love that this is super easy to make and in such great time. 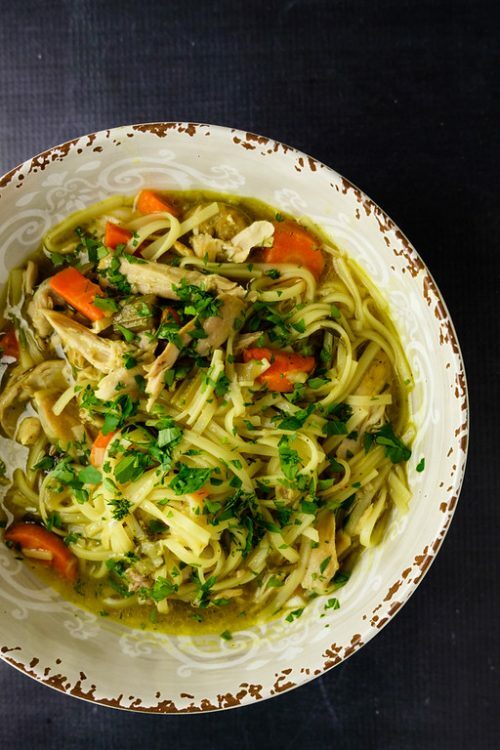 This version of chicken noodle soup is perfect for this cold winter flu season. She adds a few extra ingredients to combat those pesky cold and flu germs. My kids have been battling colds for the whole month of November, I wish I had found this last month! If you enjoy stuffed peppers, then you’re going to love this one. Packed with the same flavor as original stuufed peppers, this soup takes way less time. 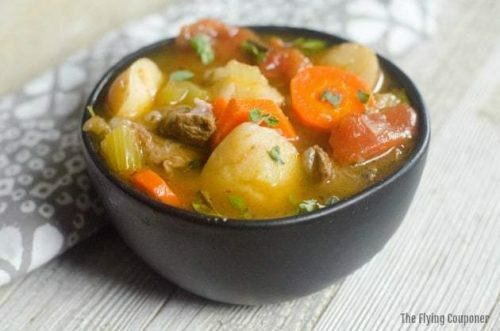 You can’t go wrong with an ol’fashioned beef stew. We enjoyed this the other night and it was bomb diggity. 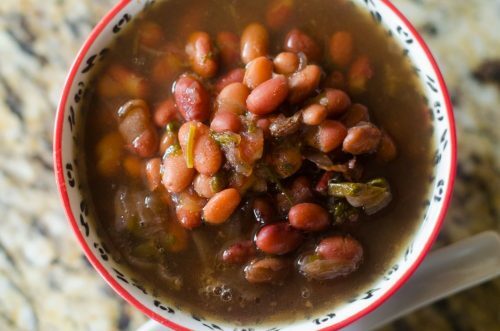 This frugal and easy instant pot soup needs to be a staple in your recipe book. Where I grew up, we called this Cocido. 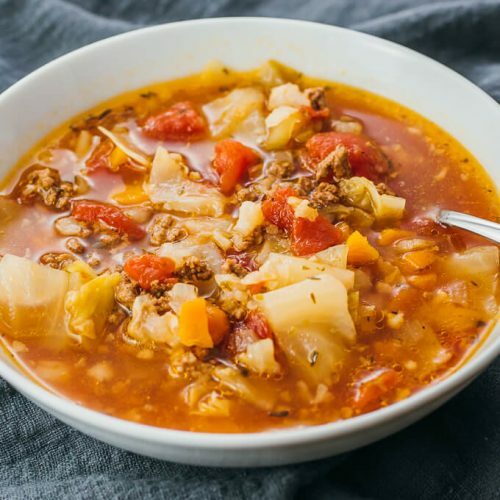 I love cabbage soup and while I have never used ground beef, I love the variety in this scrumptious meal. I cannot wait to make this one! I think I might have a theme of Mexican inspired dishes here. I can’t help it, I love Mexican food. 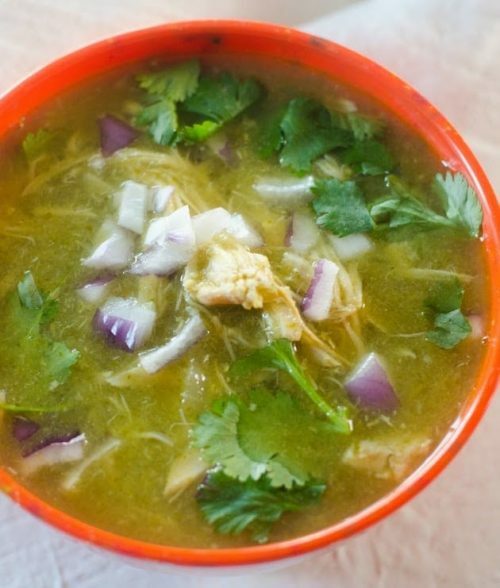 This Chicken Chile Verde Soup sounds absolutely amazing! If you have ever cooked beans, you know that it takes FOREVER. You have to soak them over night, then cook them super slow for them to come out just right. What if I told you, that you could have a wonderfully tasteful bowl of beans in about 1 hour? Yep. Check out how Mooshu does it. I know, I’m totally excited too! What did you think? Tell me below in the comments. Why I try to squeeze 35,975 things into 24 hours is beyond me. 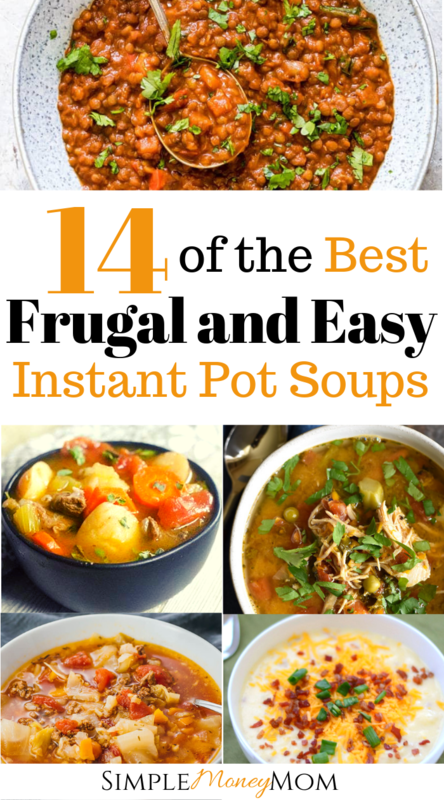 But I do know that during these times, I can rely on these quick instant pot soups to save my day and my bank account. Bookmark this page or save it to Pinterest to refer to it later! All of these soups look delicious! I know my family would love the potato one, and I would love to try the lental one. I’m always wanting to try new lental recipes. Yes! Definitely perfect for this winter season. Hope you enjoy them! These all look so delicious! Our winters are so cold and so long, it’s nice to have plenty of soup recipes to get through the season. Thanks for the ideas! Where are you at? Our winters here are short but that doesn’t stop us from making soups well into spring as well. Haha! Thank you for allowing me to share! It’s a great recipe. You’ve got a lot of other delicious recipes that I’m definitely going to try as well. Love making soups in my instant pot. 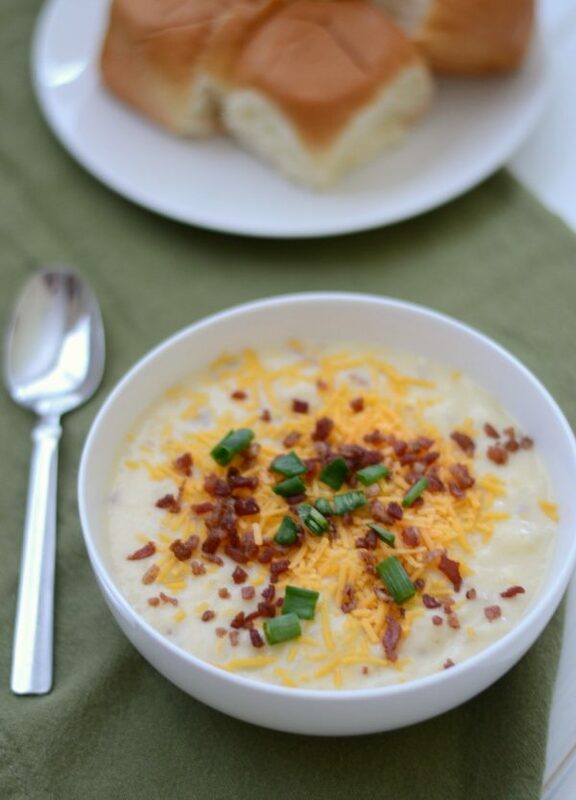 Will need to try that broccoli cheddar soup! Yum! Oh my gosh, it’s so easy to make soups. I wish I would have known this much sooner. Love these recipes! My husband is hoping for an instapot this year for christmas. I hope you get one! It’s seriously a game changer when you are a busy family.